Can be customized as per the requirement in the application. Benefit of smooth surface finish can be achieved through using deck. Leakage during the production can be prevented through its performance. Centralises the product flow and thus gives effective separation as expected. Equipped with view pots for the observation during the production so have an idea of the undergoing work. Efficient working under double deck operation due to its standard customised size. The machine is equipped with a special Active Block to prevent the materials blocking. The dome installed can be designed according to suitable application as required. Shutting off valve is provided to control the flow it small maintenance and easily adjustable. Adjustable height as suitable for machinery and the construction is robust so as to maintain the balance. Easily accessible for maintenance of motor and can be handled easily. Benefit of smooth surface finish can be achieved through using the deck. 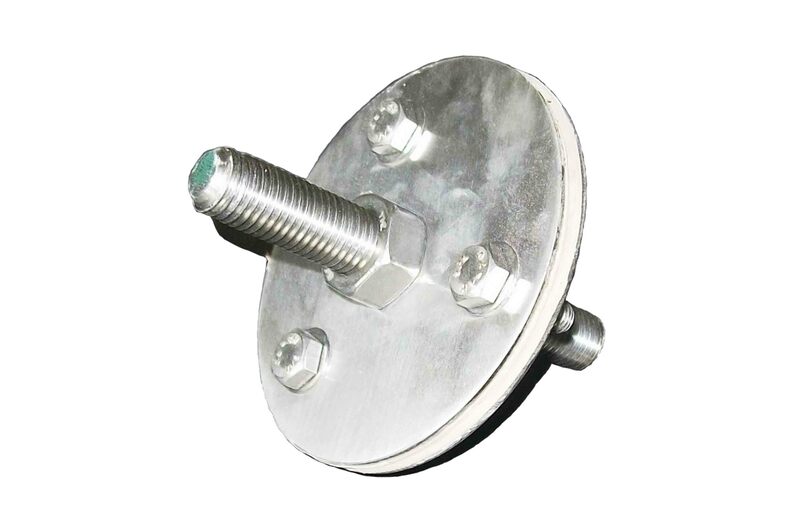 Design of the mountings are such that it ensures a low profile installation, and are an ideal anti-vibration method for various types of equipment and installations. Maintains the steadiness of the machines on the surface area so as to control the movement of Engines & Equipment. Adjusts the level of balance considering the surface area thus flow of level is maintained. Avoid contamination and dusting/fully covers mesh and prevents from damage. View pots available for observation. Unwanted iron particles can be easily spotted and removed with the magnetic grill. Cleaning of materials becomes easy as all impurities are removed through magnet. Improvement in the final quality of products, maintains purity of the materials. Handling of equipment becomes manageable through caster wheels as they work like a pulley for the materials. Breaks are equipped to make the process steadily working. Meticulously engineered so as to maintain the required balance equally. Maintains the steadiness of the machines on the surface area so as to control the movement of Engines & Equipments. Appropriate tension of mesh can be achieved. Expands the working of the ring for years by its effective usage. Fine and coarse mesh output as the end product can be deduced with the help of meshing table. 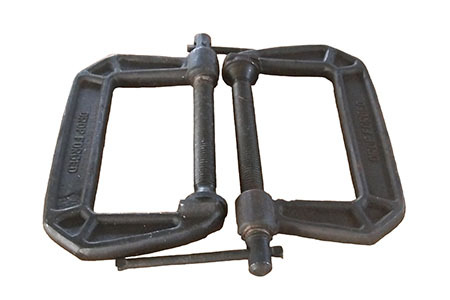 These clamps include a machined steel screw for optimal durability and easy handling. Ensures equal pressure on all sides of the Mesh frame process the result of which mesh damaging during fixing of materials is avoided. Probably most suitable for holding those metal fabricating or woodworking projects. Maintains consistency of output throughout the process. Reduces the amount of downtime by 70% like no other. Cost effective when we refer to the expense of inventories. Helps to refrain the machine from damping in order to perform smoothly. Equipped with standing and starting torque to maintain the efficiency and prevent it from weakening. Easily available on demand as it ready to install. Helps in avoiding strace and jerks, so that accuracy is maintained and the load is distributed equally. 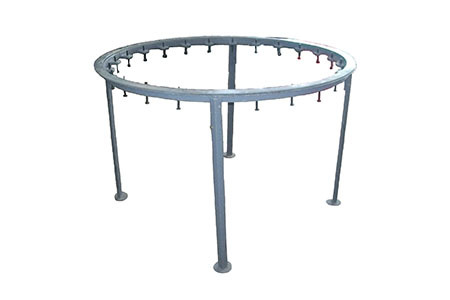 Useful in maintaining centralised balance in the machine and is also common for 40-48-68 inch machine, can be fitted easily. These rubber balls are most effective in screen binding caused due to the coarse particles in the materials. With the use of rubber balls the screen becomes highly energized while releasing particles that causes jam as a result also increases the output. Near size particles and fibers can be withdrawn with the help of rubber balls the result of which. With the effective use of sliders there can be increase in the mesh life to some extend. Sliders are also useful in removing coarse particles with the advantage of being equipped with nylon material. Can be customised as per the requirement in the application.